Below, you'll find references from a number of collegues and past clients. I recently purchased a combo unit at SkyCity and wanted to share how happy I was with the service, options and information I received from Susan Joshi. Susan strikes the perfect balance between knowledgeable, honest answers and genuine care for the customer. I feel completely confident that this is a smart purchase in an exceptional building, and that’s mostly because of how Susan addressed my questions and concerns. If you would like to talk to me about my experience with Susan and the SkyCity team, please feel free to contact me. I honestly can't find enough superlatives with which to praise Susan Joshi. She is AMAZING; in fact, with her intelligence, acumen, integrity, and absolutely incomparable dedication to her client's best interests, Susan belongs in the ranks of the most extraordinary professionals in any field. She not only guided us in our home search with shrewd perceptiveness and insight, impeccable honesty, and fantastic good humour, but made herself available constantly to address dilemmas and provide solutions. Even when briefly called out of town she was phoning long distance to help us navigate complexities! Her tireless involvement and support reflect one priceless fact: This wonderful lady truly CARES. Her strength, competence and vibrant energy give you peace of mind. Her concern and protectiveness extended even beyond the sale - she fought (successfully! )to ensure we received our due from a slippery supplier. Susan Joshi is a treasure! We love her and thank our lucky stars we found her! In 2011, my spouse and I had the distinct pleasure of using Susan JOSHI as our Realtor to purchase our home in Royalwood. Being a military family we only have a very short five day window to purchase a home; Susan exceeded all of our expectations during this time, and naturally, when we were notified that we were being transferred from Winnipeg, we did not hesitate to call upon Susan again, this time to sell our home. She came completely prepared with local comparable sales and priced our home accordingly. With an agreed upon sale price, she set about aggressively marketing our home in a very competitive market. Photos of our house flooded the MLS, internet, Kijiji, Facebook, and even put our “virtual tour” on Youtube. She advertised our home in the local newspaper and in Real Estate magazines and personally called all her contacts to ensure maximum exposure of our home. We knew it was going to be a tough sell, considering we were located on a busy street and our basement was unfinished. Furthermore, within our neighbourhood alone, there were over 20 bungalows for sale, averaging 80 or more days on market. Undeterred, Susan never stopped working for us. She considered it her mission to sell our home and she did just what she set out to do. She lived up to her motto of “Consider it Done.” Our house sold in 59 days, while other comparable homes are still languishing on the active Winnipeg market. The dedication and professionalism she brings to her job are incredible and we would still be waiting for an offer if we did not have Susan Joshi as our Realtor. 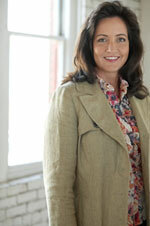 In today’s Winnipeg market, where buyers are becoming more and more discerning, Susan JOSHI is the Realtor of choice. If you are looking to either buy or sell your home, look no further than Susan, she is one of the very best in the industry, and we should know, considering we have moved 5 times since 2007. "Susan Joshi was absolutely incredible to deal with. Having been in the real estate industry for many years a mortgage professional, I have had many dealings with Realtors both good and bad. Susan Joshi by far beat every single expectation that I had. Every last detail was perfect, from the listing, to the professional photography, YouTube video, ads Kijiji, Craig’s List etc, and the professional advertising that was available for me to send to my own database. Susan made selling my property a truly remarkable experience! Susan gave me up to the minute reports and feedback from other realtors. I feel very fortunate to have had Susan Joshi represent me!" I have been wanting to sit down and write you a note but seem to get busier all the time. doing for us, it has been a great pleasure to meet you. We will give you a proper thank you once we arrive in Winnipeg and get settled. Take care and let us know if you need anything from us. As a military couple, my spouse and I move quite often and because of this it is crucial that we do our homework when choosing the realtor that is best suited for our needs, which means that the realtor needs to dedicate 100% of their time and effort into finding us a home within a very short 5 day window. After having just returned from a one week house hunting trip in Winnipeg, we felt it imperative to share our experience. Within hours of landing at the airport we met with Susan Joshi to begin viewing homes. She was completely prepared with a list of our favourites and possible listings. After 2 ½ days, and viewing 40 or more homes and attending countless open houses we were getting discouraged and anxious about the time frame. Because of her high level of professionalism Susan was not satisfied with us simply settling on a house, she felt we had to love it and only pay what it was worth. Not missing a beat Susan switched gears and began communicating with colleagues, private listings, and builders. Because of her perseverance, we happened upon a home that was to be put on the MLS the same day. We were able to avoid multiple bids and closed the deal the same day! Given the state of the Winnipeg market, we cannot imagine a more perfect outcome. She continued to assist with providing information on lawyers, home inspectors and appraisers and making appointments with them for us so we could meet our timelines. We found Susan to be completely professional with exceptional commitment and her engaging sense of humour was a bonus during the stressful moments. Without doubt, Susan will be selling our house when we are again transferred in 2014. Whether you’re being transferred, relocating or simply want a new home we highly recommend Susan; she is truly a credit to her occupation. We highly recommend Susan for trustworthy service in the buying and selling of real estate. She is a consummate professional who obviously enjoys people. She is a careful listener and this is reflected in the timely and useful advice she gives her clients. Her sense of humour and fun were much enjoyed during a challenging search. Her sincere care for clients shows in her attention to detail and she is certainly true to her motto, "consider it done". Thanks a bunch Susan! "Susan's energy, professionalism and efficiency greatly helped me with the purchase of my new home. I appreciated her excellent service and ability to get the job done - quickly. From finding new listings just on the market to dropping off boxes for my move, she provided great service and made the process of finding my new home a smooth one." My wife and I had been looking for some time. We had specific needs and had gotten tired of realtors who didn't listen and who sent us to look at properties that simply weren't what we were looking for. Then we met Sue. From the start she was different. She was business like and thoughtful and although it still took a long time she never gave up and never wasted our time with stuff that wasn't going to suit us. And she was such a laugh to be with while we were going round. We have finally got the house we were looking for and are very grateful to her.